Place the pineapple in a blender and blend until smooth. Divide the pineapple purée between 4 glasses. Fill each glass three-quarters full with the ginger beer. 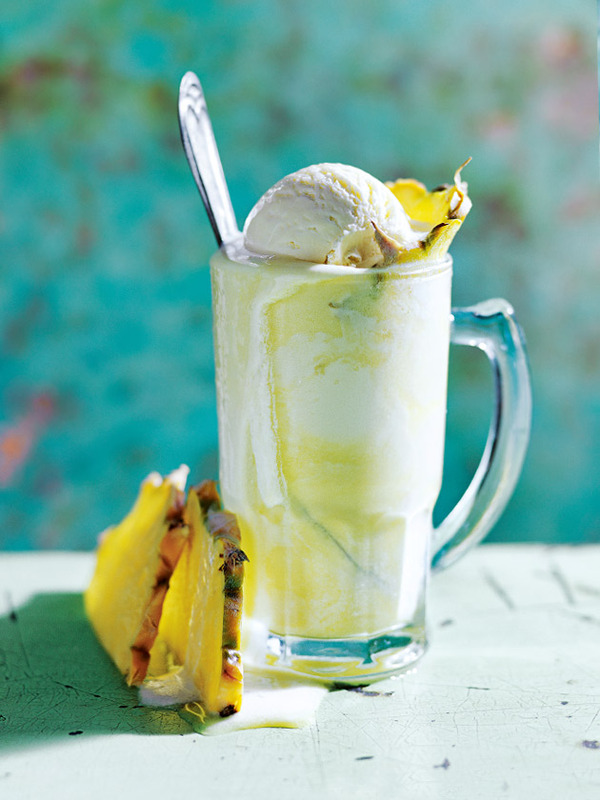 Top with a scoop of ice-cream and serve immediately with the extra pineapple slices. Makes 4.